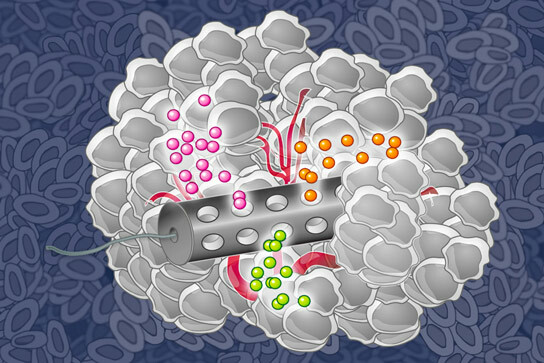 MIT chemical engineers have designed an implantable device that can deliver many drugs at once, allowing researchers to determine which drugs are the most effective against a patient’s tumor. A team of engineers has developed a new implantable device that will allow doctors to test the effectiveness of cancer drugs and to identify drugs that work best for each patient prior to starting systemic administration of chemotherapy. Be the first to comment on "Implantable Device Allows Doctors to Identify the Best Chemotherapy Agents"